The pros who wrote this recipe suggest subbing kidney, cannellini, pintos or any other medium-size bean. 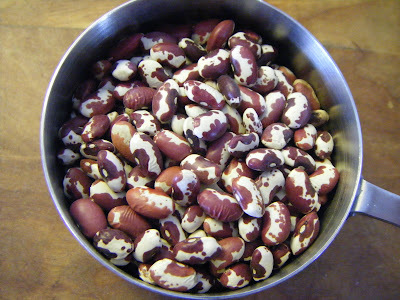 To precook: place one cup of rinsed beans in a small pot. 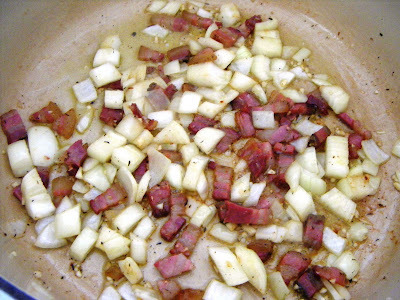 Add water (to 2-inches above beans) and 1 teaspoon salt. Cover pot and bring to a boil. Turn off heat. 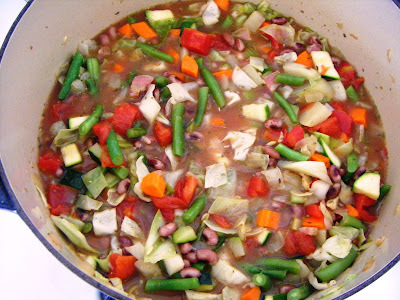 Allow beans to sit 30 minutes before adding to the soup pot. 2) Parmesan rind? Yes, you read that right: it’s used as both seasoning and thickener and great for knawing on, later, when that last hunk of Parm (see photo, above) is all melty in your bowl, so stop throwing those things away! Save ’em for soup. BTW: I’ve noticed Parm-ends for sale, lately — cheap — at better cheese shops and deli-counters. 3) The original recipe says to cut the stalk from the chard. I say, “waste not, want not”: save the stalks and the cut-up stem-ends (unless they’re too woody), and saute them with the other veggies early-on. 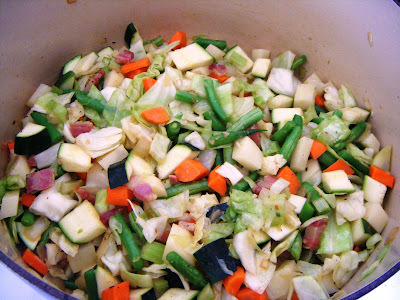 Add each vegetable separately, stirring and allowing each of the veggies to saute a bit before adding the next — I usually start with the carrots, then celery, then fennel because they take longer to cook, but you do whatever floats your boat. And speaking of floating your boat, if you hate, say, fennel or green beans and don’t have zucchini but do have yellow summer squash, no one’s going to smack you if you sub-out one for another. This is all about you, OK, so use whatever vegetables you want to use, just consider the proportions described in the recipe. 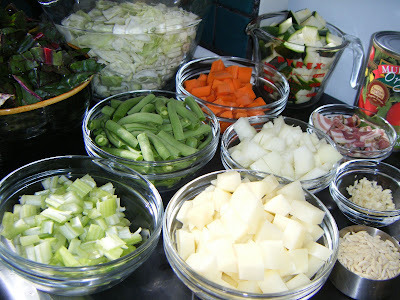 Soon enough, you’ll see that the veggies begin steaming. That’s a good thing, as Martha might say (but then she didn’t write this recipe: the August Home Cuisine/Cuisine at Home folks did, and I shouldn’t even be bringing her up in this conversation since everyone knows about Martha and her magazines and you probably don’t know about the Cuisine-ators, whom — did I mention this? — I love). 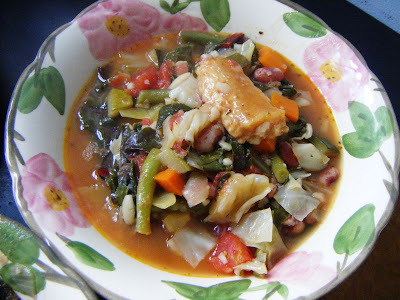 And if you time things right and make that almost-no-knead bread-dough recipe the night before you make the minestrone (tonight? why not!) 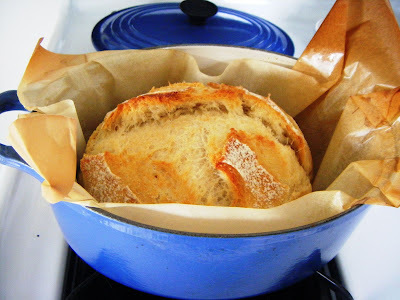 you can have the bread rising in time to pop it in the oven, and still have time to let it cool off before slicing that lovely loaf for dinner. Have fun this weekend, and I’ll talk to you on Monday.